Today's Blogger Babe of the Week is the San Jose-based, fashion blogger Crystalin Marie and let me tell you we are obsessed! 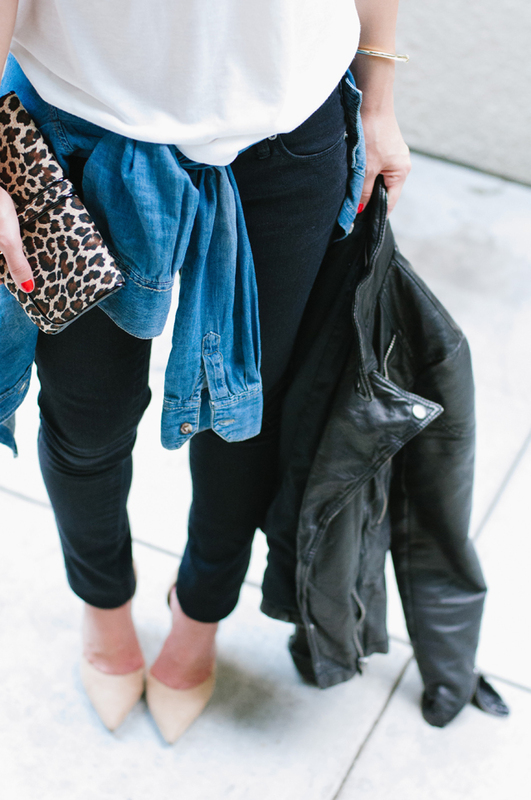 We absolutely adore Crystalin and everything about her blog. From her chic, minimalist style and neutral-centric color palette to her cute, fluffy white pup, Lola, who makes a special appearance every now and then, Crystalin Marie is definitely a blog to bookmark! 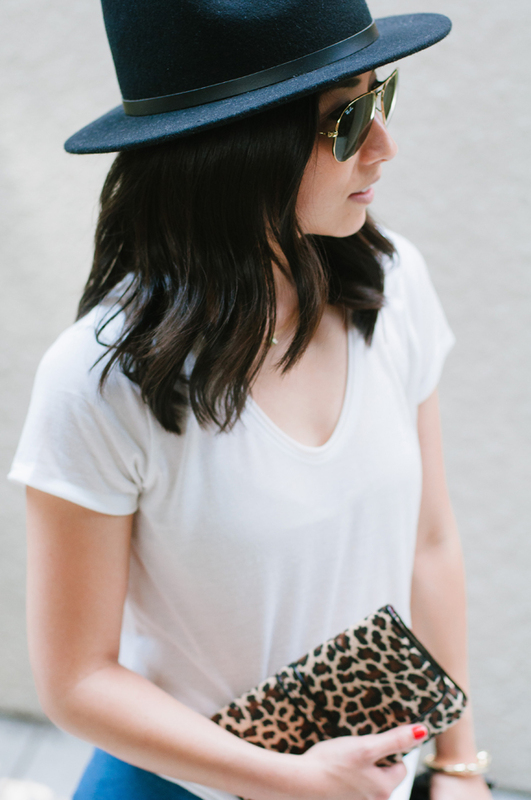 We love how she shows the versatility of our Leopard Flat belt bag, wearing it both as a fanny pack and a clutch. 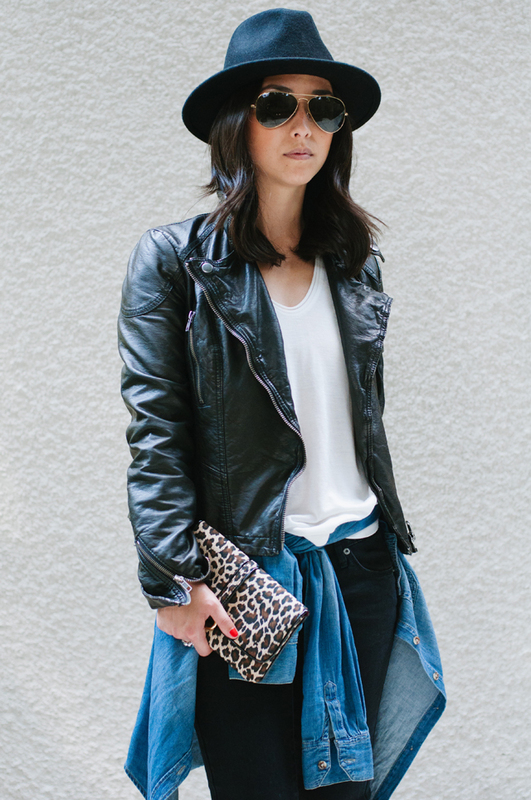 Here, Crystalin is wearing the Leopard Flat belt bag.